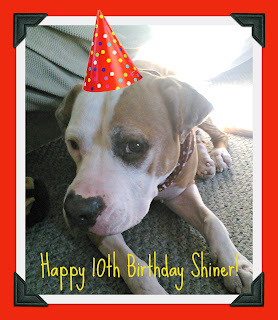 Today is a very special day - Shiner's 10th birthday! I still can't believe that she is 10 years old... she doesn't act like it to me. I sometimes wonder when she will show signs of being an older dog, but so far I haven't really noticed much. She's as youthful as ever, thankfully. For those who don't know her, here's a little bit about Shiner. She's a pit bull girl doggy. Yes, she gets mistaken for a boy A LOT. Which is OK, because I used to call dogs the wrong gender occasionally. She loves to eat food - anything really. Shiner loves sticks but won't play fetch. She will go and get something you throw for her but then never return it. She's a licker, too. She's a stubborn dog and sometimes I think she has selective hearing. Shiner is a very loyal dog and is protective of me. She's an expert at cleaning up after the baby, which I am very thankful for because Violet can make some pretty huge messes when she eats. 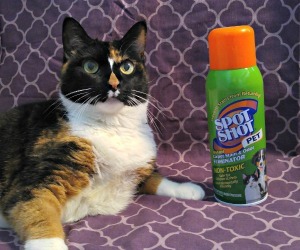 With Shiner around, there is no clean up afterwards! I love it. March 3rd is Shiner's estimated birthday. Her "Gotcha Day" is in 3 months on May 3rd. I estimated that she was about 3 months old when I found her in an alley. If you missed her Gotcha Day story, you can read it here. Happy Birthday, Shiner! I hope you get lots of special treats and lovin'. Happy Birthday Shiner! It would be quite a shot of the two of them together!! Happy Birthday Shiner. 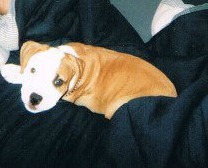 Wow you were a cute puppy. Love the fact that you help clean up foodables. 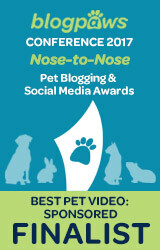 Pawsome! Have a super Sunday. Happy Birthday, Shiner! You were a cute puppy, and you are a cute big girl. I am also mistaken for a boy dog - sometimes, even when I am wearing a sundress!! Oh my goodness Cupcake - I don't know how anyone could mistake you for a boy! Shiner is one GORGEOUS girl!! 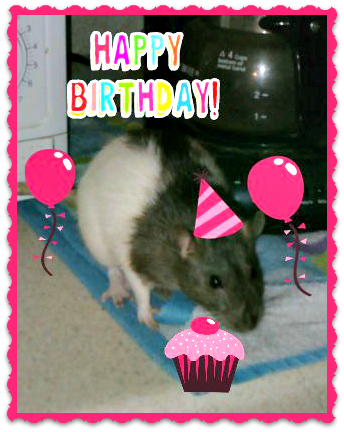 We wish her the happiest 10th birthday EVER!! Happy Happy Happy Barkday Shiner! Can I say you look great for your age? I love that you and Nibblet are good pals...That's so sweet...Have a wonderful day! Happy Birthday, Shiner! Go fetch some birthday treats, and you don't have to return them! Happy birthday Shiner, Happy birthday,happy birthday, happyyy birthdayyyy toooo youuuu!!!! Arooooo!! Happy Birthday, Pretty Shiner Girl! Enjoy your special day. I hope you have the bestest day ever, Shiner! You deserve it. Happy birthday, sweet girl. Happy Birthday to you Shiner. 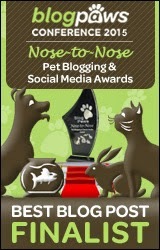 You are such a lucky dog to have such a great home and you get lots of extra treats from the baby. How great is that. We sure hope you have a great day and many more. Take care. Happy Birthday Shiner! You really do look like a pup still!!! Happy Birthday Shiner!!! I hope your special day is very, very special, just like you! Happy Birthday Shiner!! You're such a lucky girl! 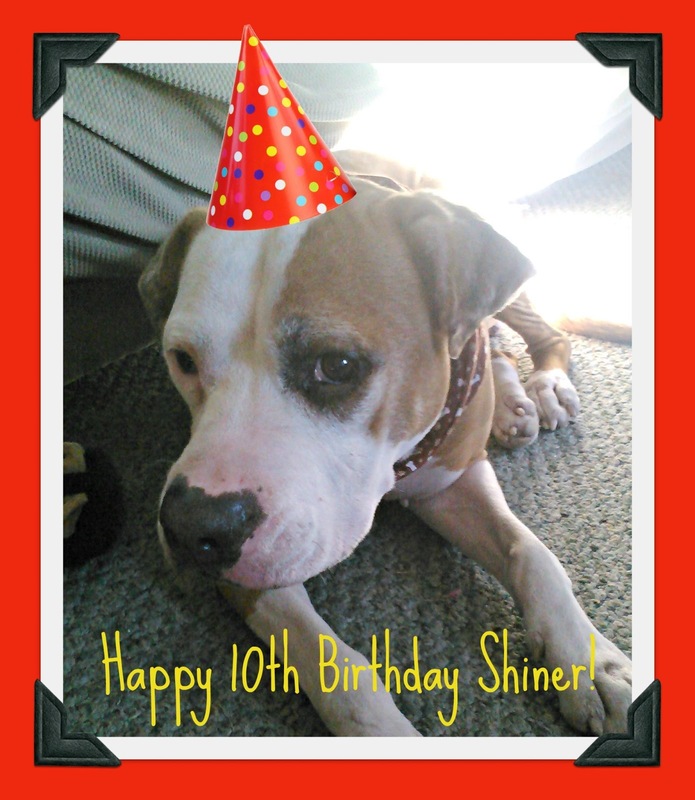 Happy 10th Birthday, Shiner!!! Your puppy picture is so cute; mom keeps going back so we can look just one more time :) I hope you have a wonderful birthday and many, many more to come! Happy birthday Shiner, hope there is cake and presents! !